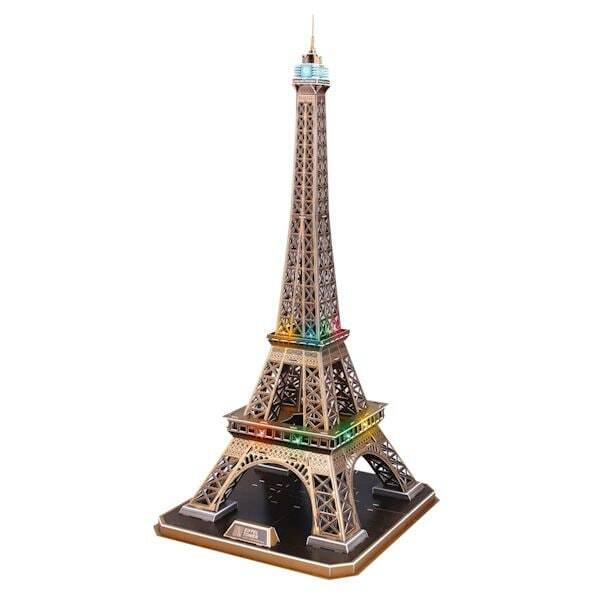 The most revered, famous and architecturally significant structures of Paris, magnificently reproduced in miniatures that you assemble and illuminate. 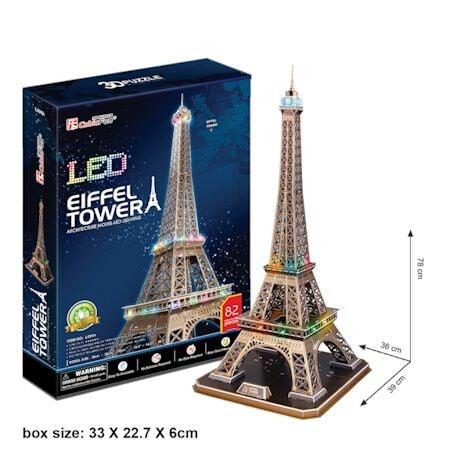 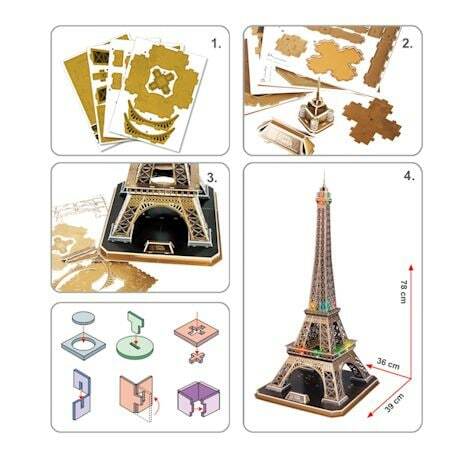 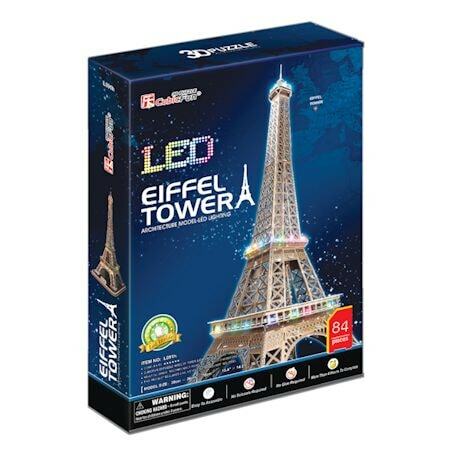 LED-lit 3D puzzles are made of heavyweight foam board puzzle pieces; comes with an instruction booklet with fun facts. 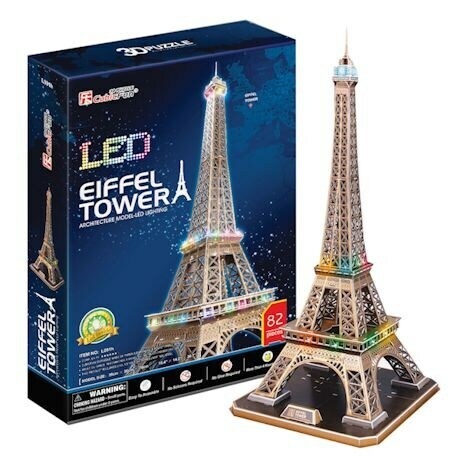 Eiffel Tower puzzle is 85 pieces; assembles to 30"H. Notre Dame Cathedral puzzle is 149 pieces; assembles to 15½"H. Ages 12+.